Make her a Princess for the day! 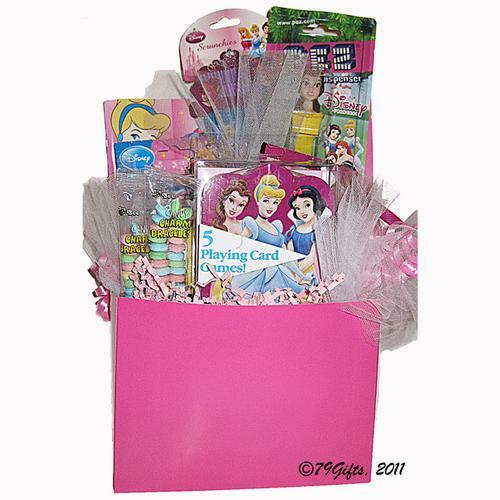 Featuring the Disney Princesses, this pretty in pink package includes a hair scrunchie, playing card game, figurine, pez and sticker album with extra sticker packs, - all in Princess theme. We add a candy bracelet and accent with tulle. Larger packages may include magic wand, story book, puzzles and other toys.